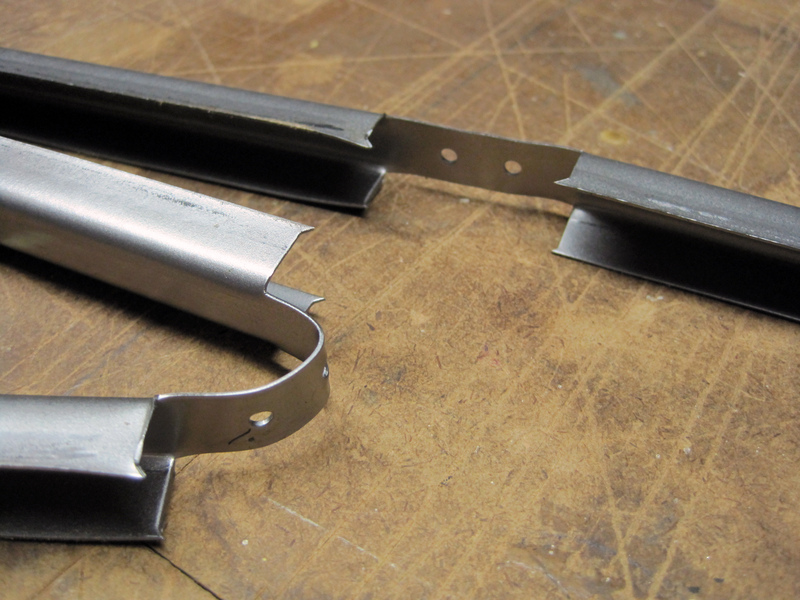 Truss Spacers - Flash Bridge Company, Inc. The Flash Bridge Truss Spacer is the efficient, field proven method of erecting trusses. Lightweight and compact, Flash Bridge Spacers improve accuracy, eliminates marking out and handling cumbersome 2″ x 4″ s, making truss installation faster and easier. Quick, positive hold even before nailing. Less chance of error. Can’t nail on the wrong side of the mark. Extends ahead just enough for the next truss. No marking out…not even along the wallplate using 3 strips. Lightweight steel. 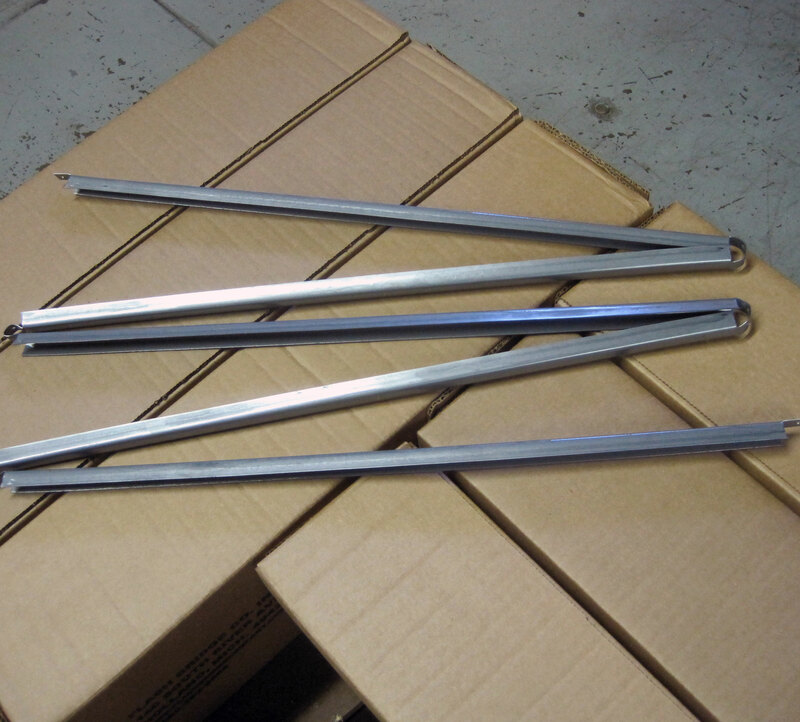 A ten foot section can be carried in one hand or fit into a pocket. Flash Bridge Truss Spacers are 10 feet long and packed 20 per carton. 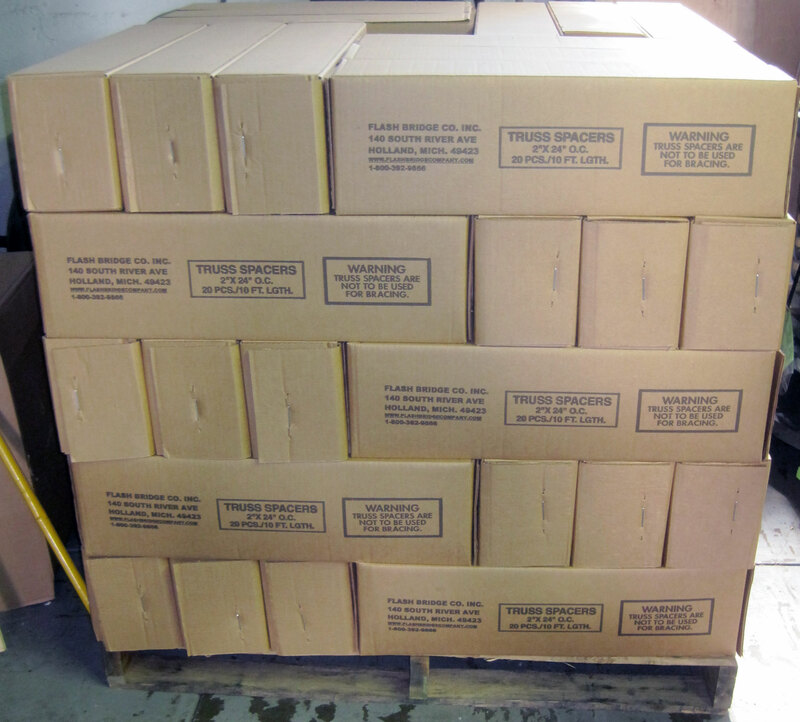 Flash Bridge Truss Spacers are packed 20 per carton, & 60 cartons per skid. 1. Unfold the FB Truss Spacer. 2. Teeth grab the truss sides for secure install. 3. Push down to sink the teeth into the truss. 4. Nail the Flash Bridge Truss Spacer in place. The Flash Bridge Truss Spacer is designed for proper spacing of roof trusses, available in all popular sizes. It is not to be used for bracing of any kind and is not a structural member. Refer to Truss Plate Institute brochures or contact your truss fabricator for detailed bracing instructions.